Again another very typical danish apartment. 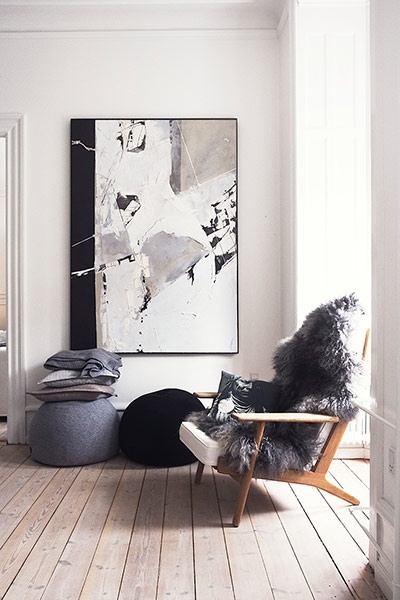 Cool nordic style, encompassing lovely wooden elements, natural hues, with a grey palette and monochromatic artwork throughout. just beautiful. I love Scandinavian design. Hope you're well and having a great week. That third centre image - what a truly beautiful space. Inspirational! 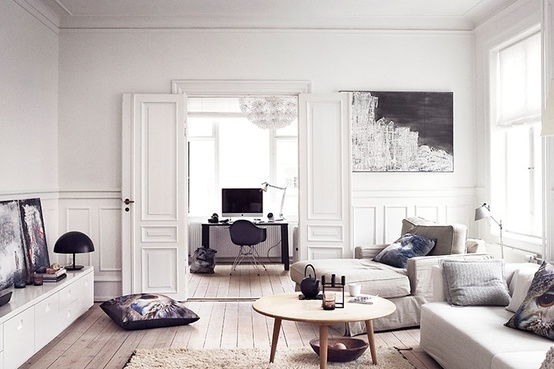 I love the airy, light look of these interiors. And the abundance of natural light is so crucial for a beautiful home!